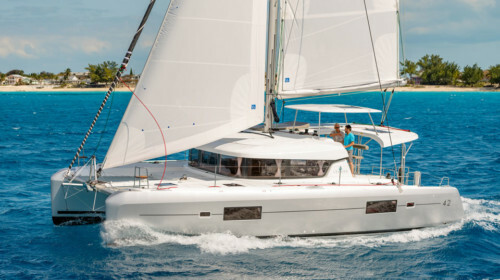 The Cranchi 47 is available for private yacht charters in Phuket. 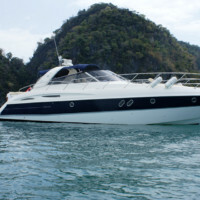 Private Speedboat Charter Phuket with Boat in the Bay Phuket. 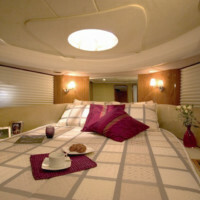 You will like this motor yacht for her fast cruising, comfortable accommodation, and affordable price. This is a fine Italian-built sports yacht with high-class fittings and equipment. 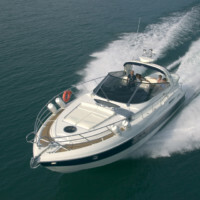 She is a perfect day charter boat with a top speed of 35 knots and a cruising speed of 27 knots. Her well-appointed cockpit hosts a large refrigerator, a BBQ station and comfortable seating for up to 8 passengers in style. The salon and the cabins are fully air-conditioned and equipped with the latest entertainment electronics such as TV plus DVD and a high-quality stereo system. 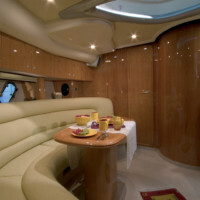 Guests on board will appreciate the bow lounge with its own cooler to have cold drinks handy anytime they wish. The sunbeds at the bow are inclining and have a sunshade. 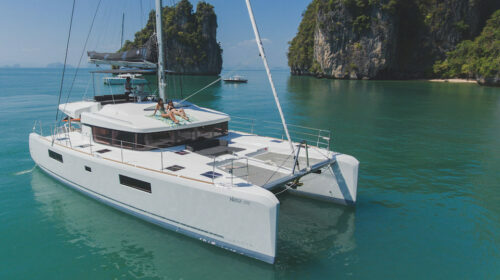 Our Cranchi 47 is a great choice of a yacht for a day cruise around Phuket! With such a good speed range, comfortable accommodation, and affordable price for a group of 8 people you don’t need to look any further! 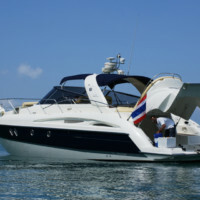 Contact Boat in the Bay today for charter inquiries on this and other private speedboat options around Phuket.